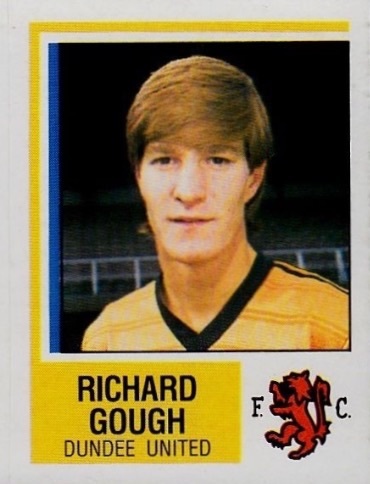 After growing up in South Africa, Richard came to Britain at the age of 16 hoping to build a career as a professional footballer, and after a spell with Charlton Athletic and a trial at Rangers he signed a full-time contract with United in 1980. A regular in the reserves in his first season, he was promoted to the first team squad after making his first team debut as a substitute against Celtic in April 1981. 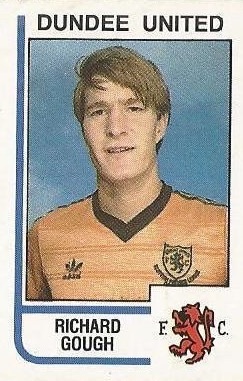 At the end of the year he was home sick and returned briefly to South Africa, but within a few weeks he was back at Tannadice and became a regular in the line up from that point on. He was a member of the squad that won the Scottish League championship in 1982-83, scoring several important goals during the campaign. An unused substitute in the 1981 League Cup final, he also collected runners-up medals in the League Cup and Scottish Cup finals of 1984/85. Richard also enjoyed European football with United, including a run to the European Cup semi-final against Roma in 1984. 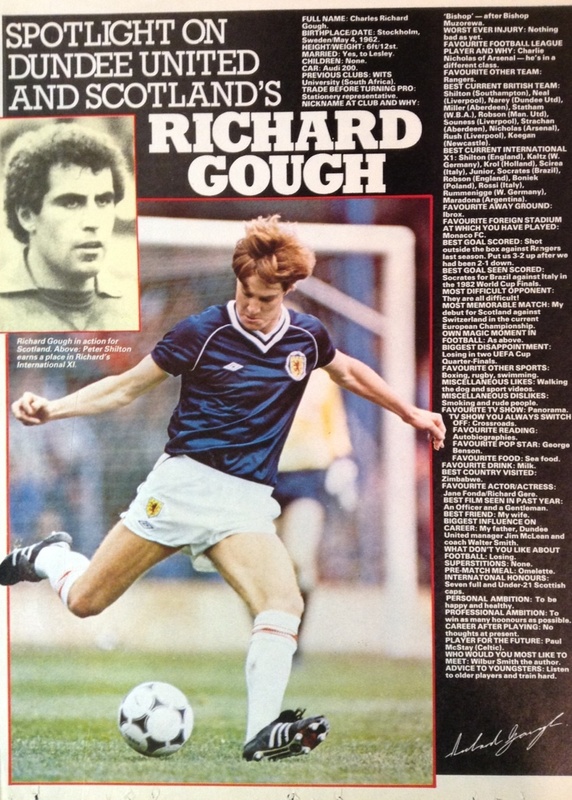 Having already been capped at Under-21 level, he made his full international debut against Switzerland in 1983 and would go on to win 61 caps - see 'International' tab. 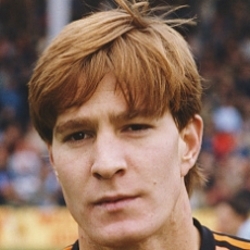 With several clubs in England now showing interest, Richard continued to make a significant contribution at Tannadice, collecting the SPFA Player of the Year award for 1985-86. 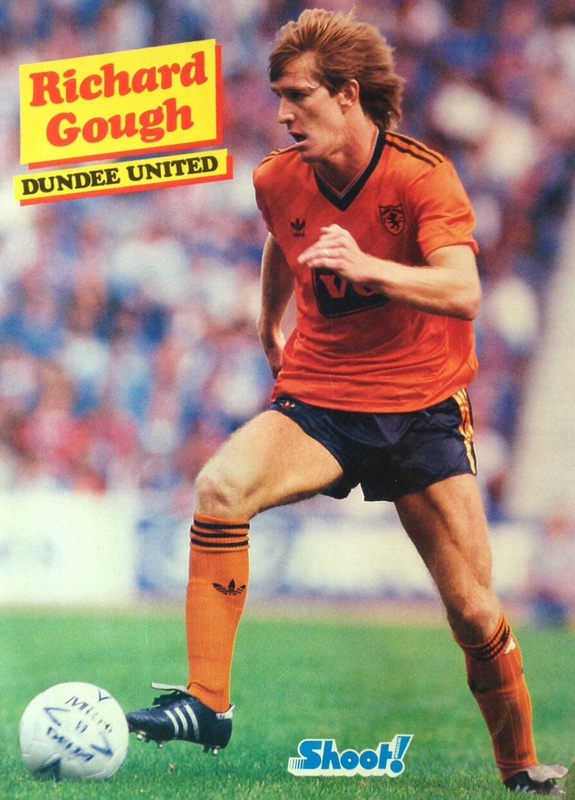 With manager Jim McLean playing Gough at right-back for the majority of his time at United, the player grew increasingly frustrated at not being able to play in his favoured position of centre-half, and in the summer of 1986 he tabled a transfer request. Initially turned down, it ultimately resulted in a £750,000 move to Tottenham Hotspur in August 1986, where he became captain and collected an FA Cup runners-up medal in his first season. 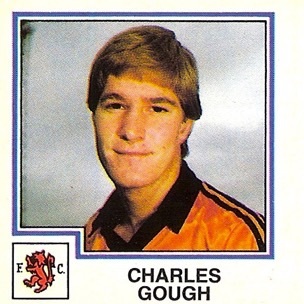 In October 1987, he became the first £1m-plus signing by a Scottish club when Graeme Souness brought him back across the border to join Rangers, where he made his debut against his old club at Tannadice – ironically his last match for United had been against Rangers at Ibrox. Richard spent ten seasons at the Ibrox club, winning nine League, three Scottish Cup and six League Cup medals. In 1997 he left to play in the USA with Kansas City Wizards but returned to Rangers again briefly, before going back to the USA to join San Jose Clash. In 1999 he joined Everton and had a brief spell on loan at Nottingham Forest before ending his playing career in Australia with Northern Spirit. Richard went into management for a short spell with Livingston during season 2004/05. Richard was born on this date in Stockholm, Sweden. Celtic arrived at Tannadice knowing the league title was within their grasp. Following Celtic's win against Rangers the previous week, they needed just a point from this match to clinch the league. United maintained their 100% record in the League Cup when completing a hat trick of wins, this time triumphing 2-1 over Motherwell at Fir Park. 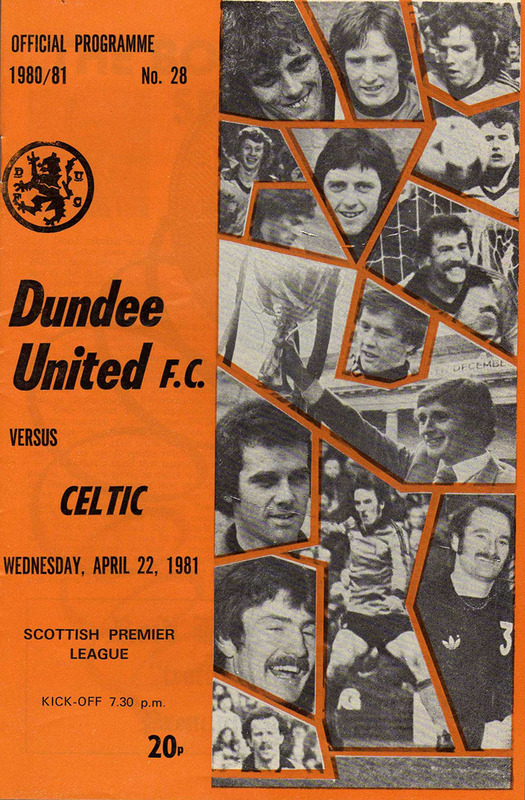 Manager Jim McLean stayed with the same starting eleven from the midweek win over Partick Thistle, with John Reilly replacing Ian Gibson on the bench. Ibrox, so often a burial ground for United hopes appeared to be just so again, well up until the hour mark. In the first half we rarely threatened as Rangers, with their big money buys, were inspired by their player/manager Graeme Souness. An opening for the Ibrox boss almost brought them the lead but Billy Thomson pulled off a superb save. A goal was only temporarily staved off, because a harmless looking Cooper corner wasn't cleared and the ball broke to Ally McCoist who wasted no time in netting. Well on top at this stage Rangers went further ahead when Souness sent Ally McCoist clear to run on and beat Billy Thomson.